Coach House and Carriage House next door are identical. They were formed from a large Georgian coach house on Doxford Estate in Northumberland, near Alnwick, Bamburgh, Craster and Seahouses. The luxury self-catering holiday cottages thus created are exceptionally stylish and spacious, superbly equipped, and beautifully laid out to offer truly gracious living! 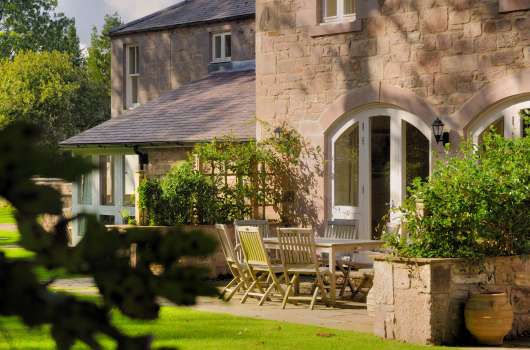 This luxury 5-star self-catering holiday cottage in Northumberland is normally priced and let for six, but with four good-sized bedrooms it offers ample living and sleeping space to accommodate up to eight adult guests in comfort. 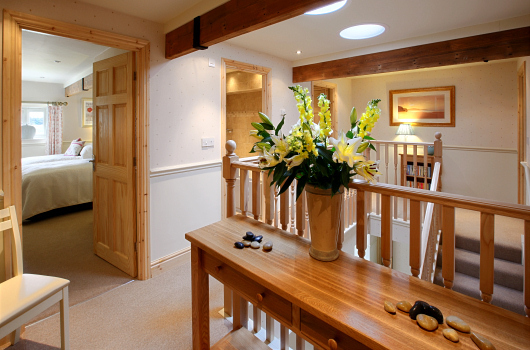 A large entrance hall welcomes visitors to the property. A huge sitting room opens through two arched windows on to a private south facing terrace with fabulous lake views through dappled woodland. 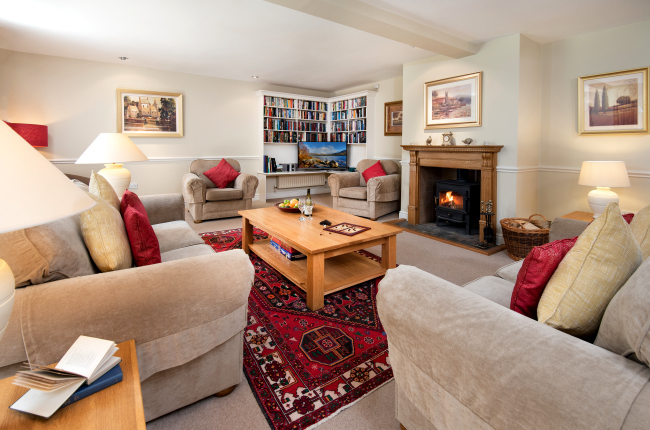 There are log fires, flat screen televisions, CD players and shelves of good books. An exceptionally well equipped kitchen is separated from the dining area by a granite breakfast bar. There is even a television in the kitchen to entertain the cook while he is making the evening meal! 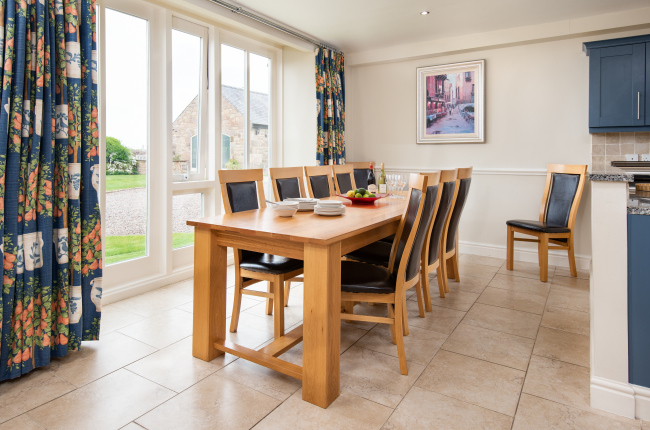 As in all the properties, the dining area is furnished with a high quality oak refectory table and chairs with ample seating for up to ten guests. A fully fitted utility room opens off the kitchen. There is also a convenient downstairs cloakroom with wc and wash basin. 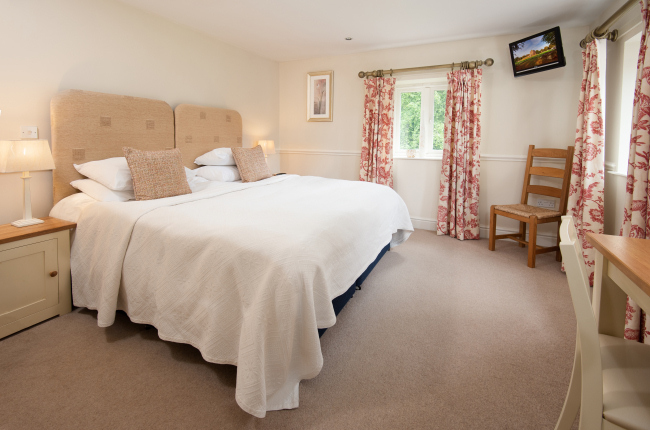 The sleeping accommodation comprises a master bedroom with a king-size bed and en-suite shower room; one twin bedroom with en-suite shower room; and another twin bedroom. 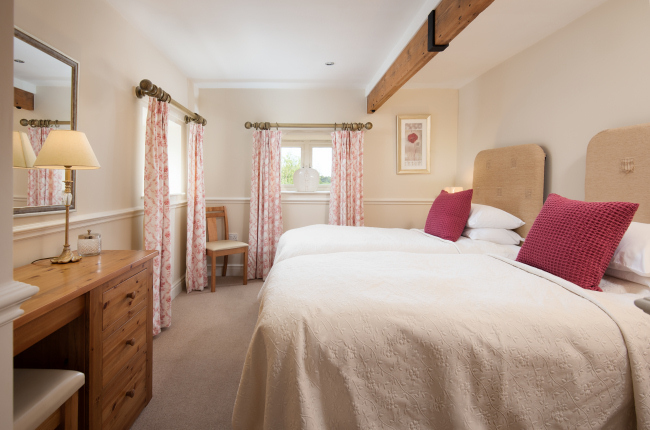 The first twin bedroom can be made up with a super king-size double bed if preferred. There are wall mounted televisions in the two principal bedrooms. A third twin bedroom is available at extra cost to the prices shown for those requiring to sleep eight or who wish the use of four bedrooms. 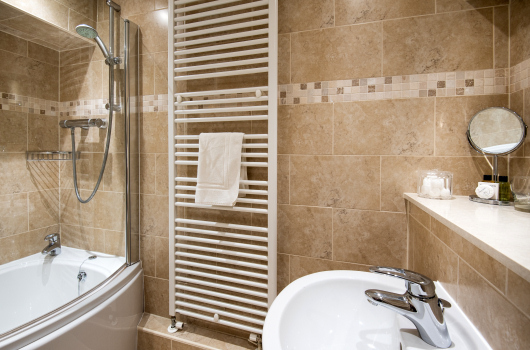 A spacious family bathroom with bath and power shower completes the accommodation.